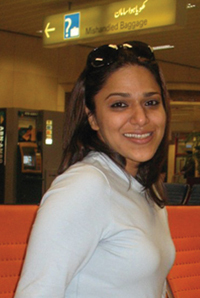 Mehreen Shoaib brings with her 10 years of local & international, organisational and management consulting experience. Over the past decade, she has supported and salvaged several for-profit social initiatives: KZRs Life-Skills Workshops, School of Leaderships Young Leaders Conference, and Navitus civil society initiative Inspiratourium. Having successfully executed numerous projects across the private & public sectors with multi-level stake-holder involvement, Mehreen created Stimulus. Formulated on the foundations of synergistic partnerships and principle-centred leadership, Stimulus is designed to pursue effectiveness and efficiency in the social sector. Her areas of interest and expertise are wide ranging; they include organizational and programme diagnostics, competency assessments, feedback and peace dialogue, culture transformation, leadership, negotiation and empowerment. She is known for her prowess at networking, deal-making and negotiation. It is these skills which aid her in establishing synergistic, long-term, mutually value-adding partnerships and associations. She has led & executed consulting projects with over 22 corporations at a strategic level.